Practically invisible due to their dark color, these 9 inch membrane discs are engineered for extended performance. The actual disc diffuser bodies are made of high-strength polypropylene with 3/4" MNPT connections to attach to airlines, manifolds or headers. Each diffuser has an avergae of 6,600 engineered air release orifices, 20% more than some comparable models. The special design of the matt, flexible and supple EPDM membrane, with its proprietary thickness taper, results in full utilization of the membrane surface, even at low airflow operations. This results in improved oxygen transfer efficiency, along with maximum operational flexibility. The disc diffuser has an integral "triple" check valve to prevent fluid backflow. Resistance is about 10" H2O when clean. Made in USA. 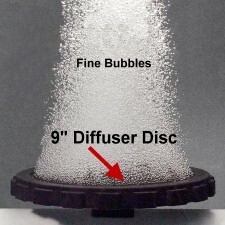 Note: Diffusers are also known as airstones, these are membrane diffusers with an HPDM fine bubble perforated system. Tip: With two 9" discs and some simple plumbing parts and fittings you can build your own assembly. 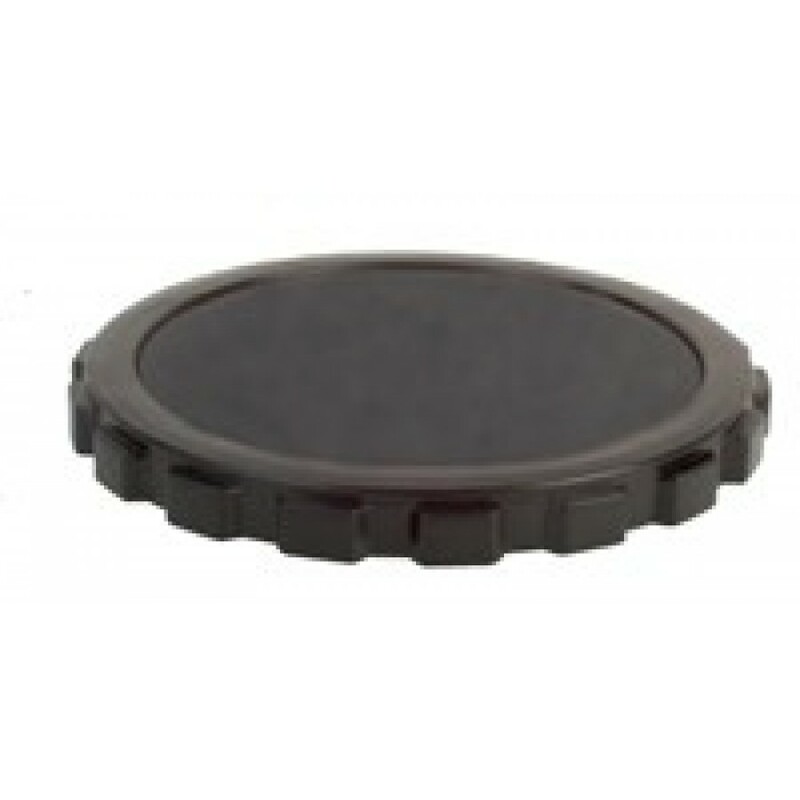 Two discs mounted on a weighted base are sometimes called "aerations assemblies" with brand names like the Vertex "CoActive AirStation" or the AquaMaster Aqua Air "Dual Membrane Diffuser" or the Aeration Technologies "Airpod" or the "AirBoost" or the "SCEPMD2"...you see where I'm going? Add two of these 9" Membrane discs and some plumbing on to a cement block or stone and you have a fancy-pants aerator for much less expensive than a brand name contraption!